Need help claiming money for damage to your car…..? There are plenty of potholes around Didcot. Hit a big one and you will certainly damage your car, from tyres to suspension and steering parts it can easily get expensive. Like me youve probably always wanted to claim but never got that far. We have put together a simple guide to give you the best chance of getting something back. This is our guide for the steps we suggest to take if youve had a nasty bump with the road. To begin, pull over somewhere safe and check the car for damage. 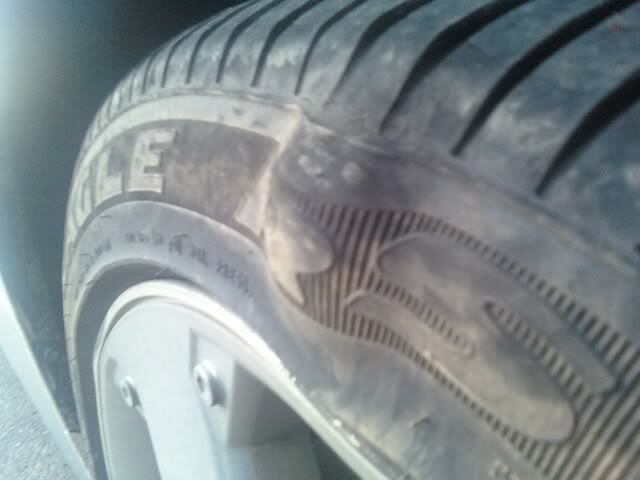 Look at the tyres for being out of shape, are there any dents or scrapes in the wheels. Even if things are not immediately obvious you may find that you start to notice the steering being off centre for example. Or when you get up speed you may find a wobble or vibration. Dont avoid this type of issue as it can become more costly if left unattended. Second, take some notes. This may sound simple but dont rely on your memory. Even better take a few photos and to be even more thorough put an item like a shoe or pen next to the pothole, this will give an impression of the size. If you need to make a small sketch it will only go to help your case down the line. Even better if anyone is about ask them if they saw what happened. This may all sound tedious but if it can save you a few hundred quid in unneeded repairs then its worth it! Most drivers suffer more than wear and tear when constantly driving on some of the poorest condition roads. The third thing to do is report the pothole, whether your claiming or not you dont want other drivers to risk damage and even an accident. All motorways are maintained by Highways England, here is their website and contact information. The next step is to repair the car, ensure you have an itemised bill and keep copies of all the paperwork you have relating to the damage. At Service Solutions we are always happy to add advisory notes to invoices where claims are involved. It can be useful for you to have a note such as ‘damage suspencted to be caused by heavy impact’ written on the invoice. Things like this will help your case. Feel free to contact us for any advice or help on this subject. Now its time to make your claim. Although there are no guarantees you have a good chance if you put together a clear case and make sure to follow up your actions. You need to contact the local council, they are the ones who are responsible for keeping the roads safe. They are legally responsible to monitor and keep the roads in a usable condition for all motorists. Make sure you send in all of your evidence at this stage. Also keep copies and records of the dates you sent them. Using emails are good in this type of scenario as there is a clear trail and no ‘lost in the post’ problems. If you receive a decision your unhappy with, its your right to be able to appeal it. This is also the point where it can be helpful to have records of what you sent and when you sent it. You deserve to be treated fairly and responded to in a timely manner. 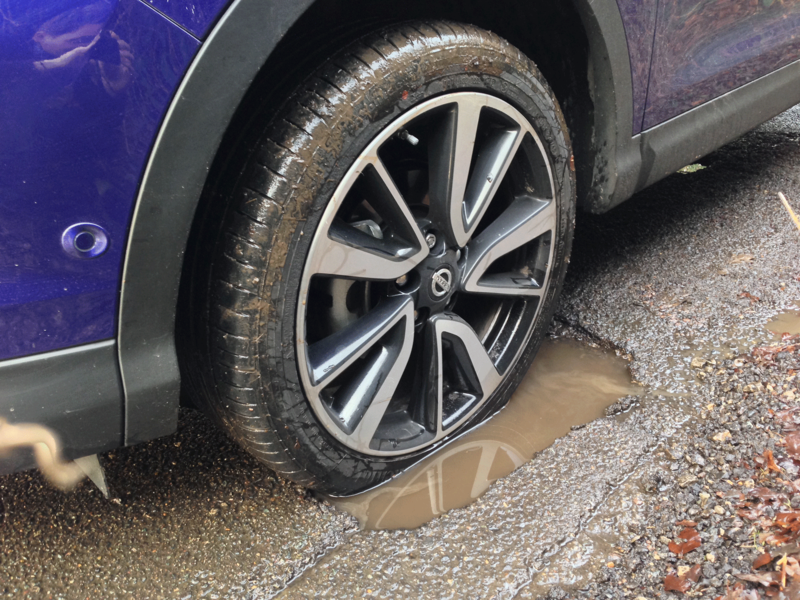 The formal inspection system is required by law and the councils must do this, if the pothole is big enough to not easily be missed on an inspection then you can question the whether the inspection was thorough. Your also permitted to see details of the councils road inspection reports, you could use this to make a reclaim if needed. For an expensive repair its also worth speaking with your insurance company, also possibly getting some legal advice. Damage from this type of incident can easily get expensive. As a driver your contributing to the upkeep of the roads and its the councils job to monitor it. We hope you find this useful however its given as free advice and we take no responsibility for any actions you may take as a result of reading this. Information take from; Google, The AA.